New trailer and clip for the Duncan Jones-directed action thriller 'Source Code,' starring Jake Gyllenhaal, Michelle Monaghan, Vera Farmiga and Jeffrey Wright. In the film, decorated soldier Captain Colter Stevens (Gyllenhaal) wakes up in the body of an unknown man. He discovers he's part of a mission to find the bomber of a Chicago commuter train. In an assignment unlike any he's ever known, he learns he's part of a government experiment called the "Source Code," a program that enables him to cross over into another man's identity in the last 8 minutes of his life. 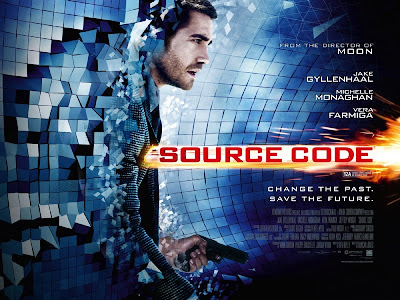 'Source Code' is out on April 1st.